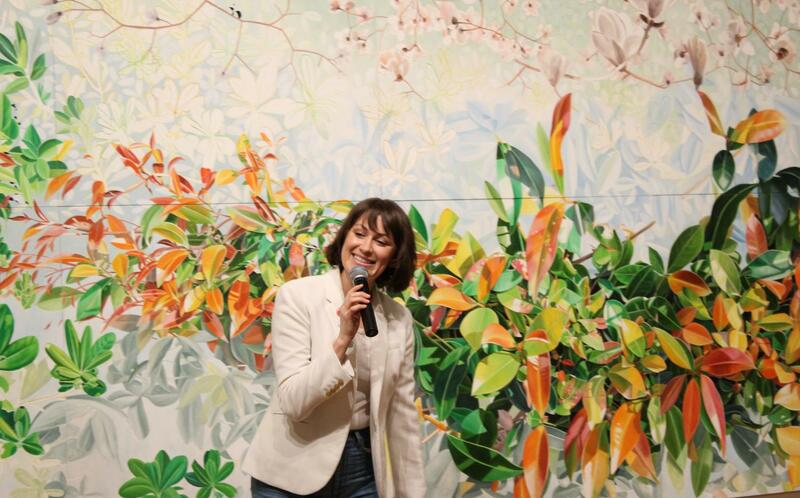 Rachel Magnus, the BMOA curator, discusses the impact of Astrid Preston’s artwork at the museum. The first Art After Dark show of 2018 took place at the Bakersfield Museum of Art on Feb. 22. The show contained pieces of landscape painter Astrid Preston’s collections. 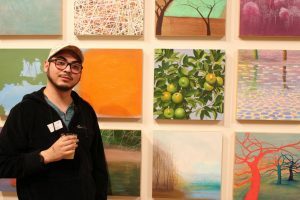 The LA based artist has had several exhibitions all over California, as well as other museums across the country. One of the collections by Astrid Preston that highlighted her “Poetics of Nature” exhibition. 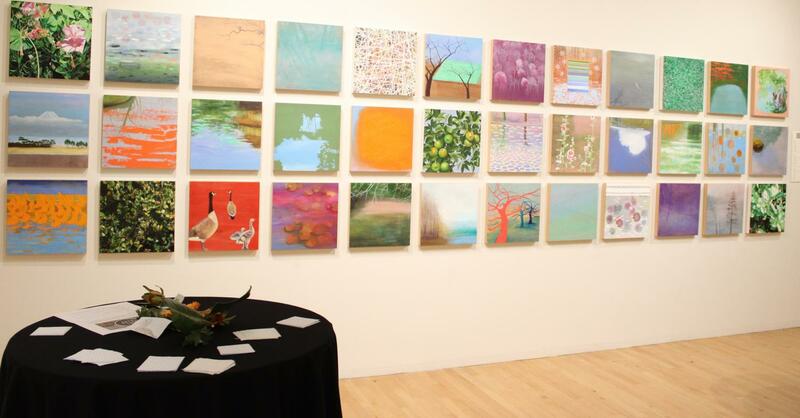 Her “Poetics of Nature” exhibition in the BMOA consisted of outdoor and nature paintings. In her artwork she portrayed her subjects in visual haiku and adds pixelating in patchwork to heighten certain pieces. The colorful depictions of her collections were eye-catching to the viewers in an impressionist approach. Many of her pieces were created by her inspiration on her trips across the world. Her “Trees of Japan (2011)” collection was influenced by her trip to Japan. Many of her pieces that were created throughout her artistic career were displayed in her “Poetics of Nature” exhibit. The curator of the BMOA Rachel Magnus discussed the importance of Preston’s artwork being displayed in the museum. The show was opened to the public with a $5 admission entrance and members of the BMOA got in free as well as students with school ID. The show also had drinks that were available for purchase and were served by Bakersfield’s local restaurant, Moo Creamery. They created three unique cocktails that were inspired by Preston’s artwork. The vibrant, colorful drinks had distinct tastes and names such as, Late Bloom that was made of a cucumber, ginger mojito, Cadmium Sky which was a blood orange, jalapeno margarita, and Golden Reflection, a cold-pressed drink that contained bourbon, pineapple, apple, and ginger. The museum also worked with House of Flowers for the table centerpieces of the show. The Art After Dark show will be displayed on the last Thursday of every month until October. For more information or questions, visit www.bmoa.org.